Since 1999, David has been a sought-after leadership coach, with expertise in negotiation skills, facilitating change, building high performing teams, and creating experiential learning programmes. These add value to any client event or sustainable change initiatives. David has a B.A. in Law from Cambridge University, and a workshop leader with a decade of experience delivering solutions in negotiation, leadership and team skills across 43 cities, and 22 countries. David’s presentation style is breezy with lots of humour, audience-interactive and backed not only by decades of leadership achievement, but also with the rigour of an understanding of how adults learn. This makes his solutions to a presentation or event programme so very different than just hiring an ‘achiever’ type of speaker who may lack a people-development background. David is also an Associate Meta-Coach, certified practitioner in Neuro-Semantics and Neuro-Linguistics Programming. His coaching practice has been widely profiled in The Wall Street Journal and Singapore’s The Straits Times newspaper. A past President of the Asia Professional Speakers ( 2007-8), his work included being an adjunct lecturer for INSEAD Business School (2000-2009). David hasn’t given up climbing, and is a veteran of over 60 alpine and expedition ascents around the world, and most recently returned from the Tien Shan ranges in Kyrgyzstan, having climbed three virgin peaks. 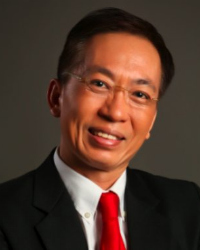 David is a CSP(Certified Speaking Professional), the first and only Singaporean to be conferred the highest designation for professionalism and consistent quality by the National Speakers Association and the Global Speakers Federation (GSF). The CSP is an independent audit of the firm’s quality, processes and maturity. He joins a group of fewer than 10% of 5000 professional members of the GSF who have this accreditation. Since 1999, David has delivered exciting, content-rich motivational presentations in over 20 countries and 40 cities worldwide. IBM, INSEAD Business School, Prudential, ABN AMro, Citibank, Actis, Novartis, sanofi aventis. Pfizer, Boston Consulting Group, Maersk, Amadeus, Maruti, TATA Steel, Singapore Telecommunications, Bvlgari South Asia, Ministries of Manpower, Defence and Education ( in Singapore ) Media Development Authority ( Singapore ) and many more. .thanks again for your inspiring talk on Friday. The feedback has been overwhelmingly positive! I had many of my colleagues approach me after the meeting and that evening saying that they really were inspired by your story. There was one colleague that told me that even some of his most cynical people indicated that your story moved them to do some deeper thinking about motivation and inspiration. Glen T. Matsumoto Partner EQT Partners Inc. I found your presentation very inspirational. Your experience, being somewhat unique to speakers in your area of expertise, made many connections to leadership but in a very different way than I have been used to, which really made an impact. I am looking forward to reading your book. The rest of the day’s team building exercises were most enjoyable and helped to align many leadership and team work objectives with your earlier talk. I was surprised how relevant the exercises were. I recently spent 2 days in an offsite with the Australian management team and although we spoke many times of team work and communication, with a facilitator, the day I spent with Everest was far more inspiring and I personally got more out of it and at a deeper level. Karen Stanton Regional Marketing, Sensory & Consumer Insights Director IFF International Flavors & Fragrances Inc.
As always, you got the group immediately engaged and everyone went away uplifted by your story and more importantly, ready to embrace the challenges and journey ahead (and believe me, we do have big challenges and changes ahead of us!). It was once again a roaring success and a great kick off for the workshop! Thank you once again! As you could tell and feel in the room, your presentation was the most inspiring talk for us. We all loved the way you translate real life experiences of aspirations and overcoming impossible challenges into practical and applicable lessons for us all.You left us with inspiring thoughts and a lot to reflect and act on.